The Thames Heritage Festival 2019 - is advertised as running from Friday 15th March to Sunday 17th March 2019, but if you check the website new programmes are being added including for the week leading up to the official heritage weekend. To follow on from the theme of Transportation on the goldfield the blog will explore travel in the broadest sense, then hopefully tie it back to a new page that will summarise the articles in the series. Local iwi (who settled that land hundreds of years ago) travelled by waka and by foot. BELOW: Mary Street (Queen to Pollen Street) 1900s to 2019. While the little girl roamed freely along the streets of Thames c1910, the 'traffic' poses no hazards. 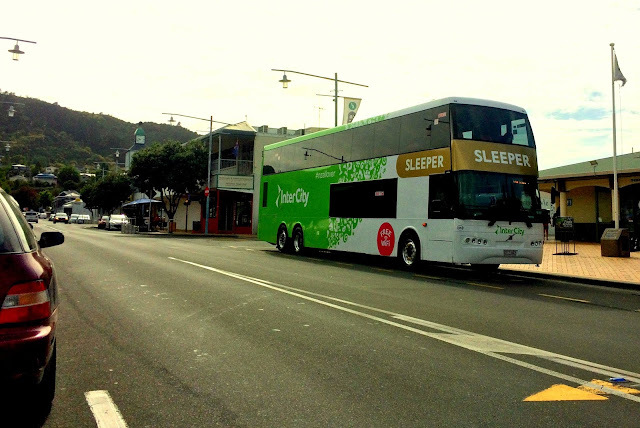 While the lowest photo shows that even Thames now has a double-decker bus that graces the old goldfield town on a daily basis! Who would have ever guessed. HOW DID YOUR ANCESTORS COME TO THE THAMES? Maybe you can say they came in the Great Fleet c1350AD or more specifically in the Tainui waka that visited Tainui Cove just north of Thames. 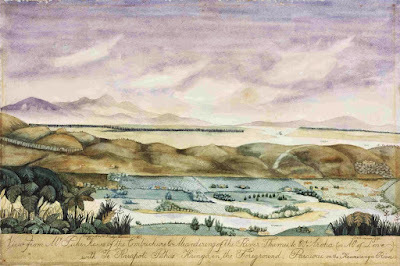 Amongst my families who settled on the Thames Goldfield in the opening years, the two that had been in the country the oldest were mother and daughter Susan Timmins (formerly Moran nee McDougal) and Barbarba Cornes (nee Moran) who arrived aboard the Minerva at the end of 1847. This was part of the Fencible scheme. Susan came to the Moanataiari, widowed and destitute when the field opened; while Barbara came with her family and mine manager Clement Cornes. Ships carried the majority of my early Thamesites to the town. 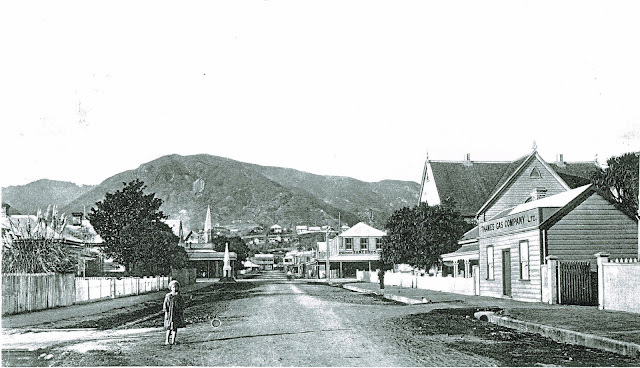 Later in the early 1900s my Grandparents (paternal) travelled from Waihi on a stage coach to settle in the town. 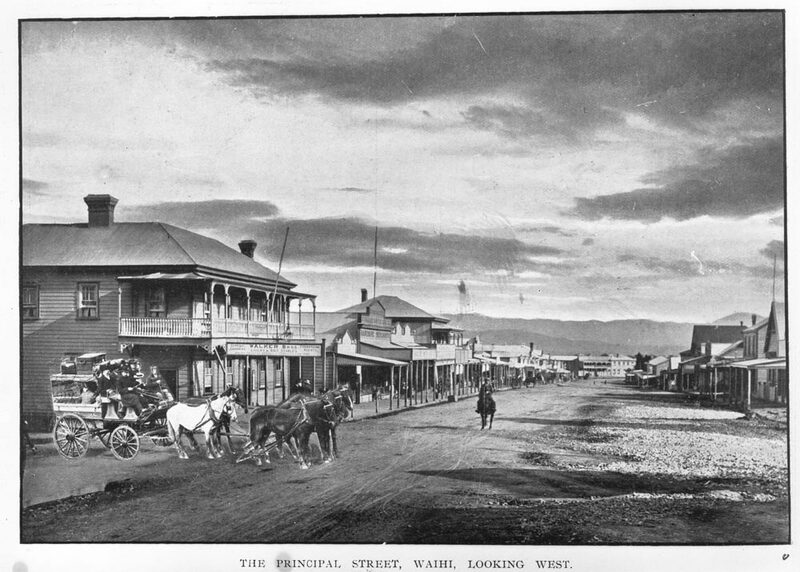 Showing a coach and horses entering the Main Street at Waihi. Shipping / Passenger lists - PapersPast (lots of lists for earlier years), Archives NZ suggested sites which includes Family Search.